TheFitnessMagicians: "Back when Henry Cavill was training at @gymboxofficial. Super nice guy." We remember these Superman training sessions! Henry was in England filming The Man from U.N.C.L.E. 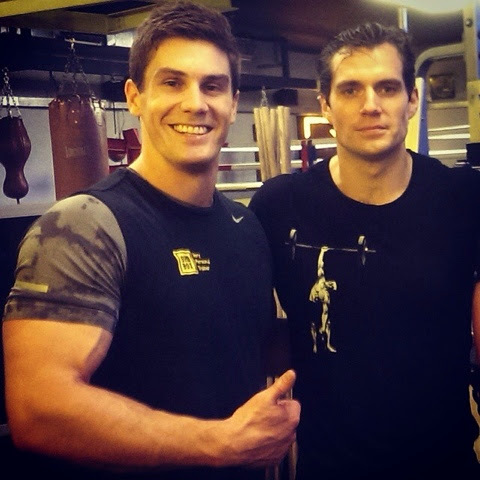 in the fall of 2013, when several (1/2) lucky fans and Personal trainer Chris Beight, got a chance to work out with him as he also prepared for his role in Batman v Superman. Thanks for sharing your comments from that encounter!